Refashioning the Renaissance team is gathering to London for a two-day workshop in early October. 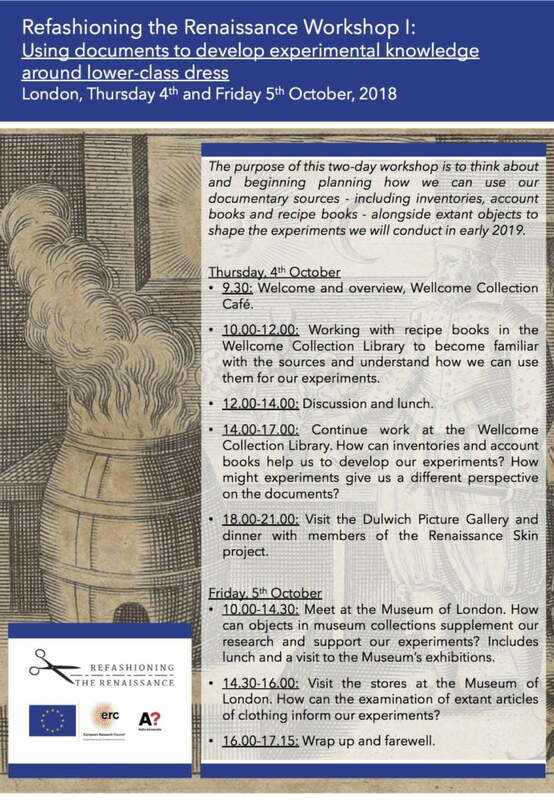 The aim of this workshop is to discuss how we can use documentary sources and objects to plan scientific experiments and reconstructions. In addition to our team, we are very happy to have Professor John Styles from our Advisory board and Postdoctoral Scholar Sophie Pitman from The Making and Knowing Project to join us.